My first experiment with Inkscape turned into a holiday card. Inkscape is planning their first developer hackfest. I just threw a few duckets their way to help make it happen. There are a lot of good reasons to support open source software. In this case, my decision was driven by Adobe. It kills me that a few of our designers still use Adobe products. It’s not that I hate paying for software. Even as an open source shop, I’m happy to pay for things that make us more efficient. But Adobe is the worst. Adobe’s products are insecure. They are a favorite vehicle for hackers and governments to pwn your computer. Meanwhile Adobe denied needed security updates to users in Iran for too long after the Department of Treasury clarified that it would not violate sanctions and after activist and journalist groups urged them to do so. Adobe is why we have to push for open data instead of just having it. Adobe is most responsible for locking otherwise useful public and government information into proprietary, machine-unfriendly formats that render it useless. Why $359.88? 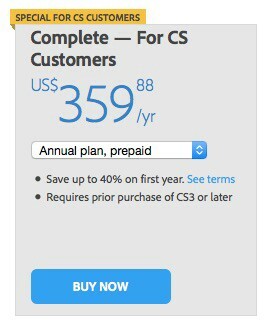 That’s what a year of Adobe Creative Cloud costs a long-time Adobe addict. Break the habit. Support Inkscape. CEO of @developmentseed. Freedom Czar.